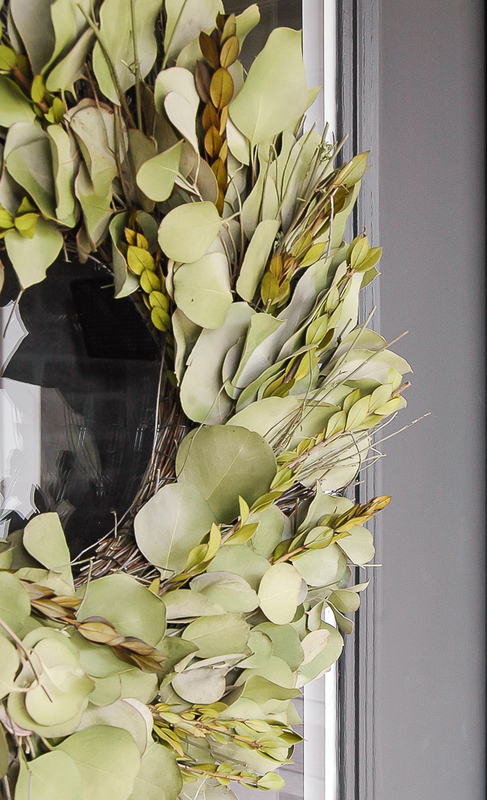 The best affordable sources for realistic faux trees, plants, wreaths and greenery. I'm back answering another frequently asked question, where I buy affordable and realistic looking faux greenery. I do have a few live plants in my home, but the majority are fake due to my lake of a green thumb. 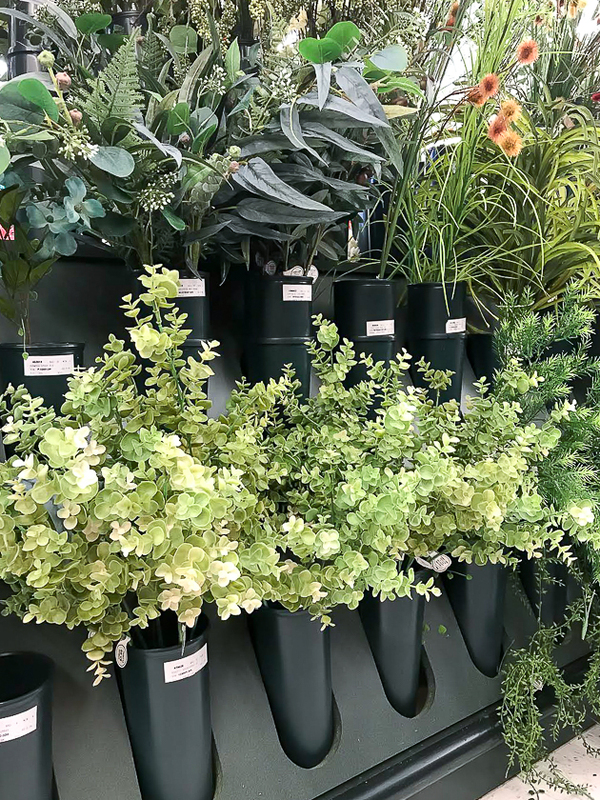 Artificial plants can get a bad wrap in the design world, but they have come a long way and are more lifelike than ever. 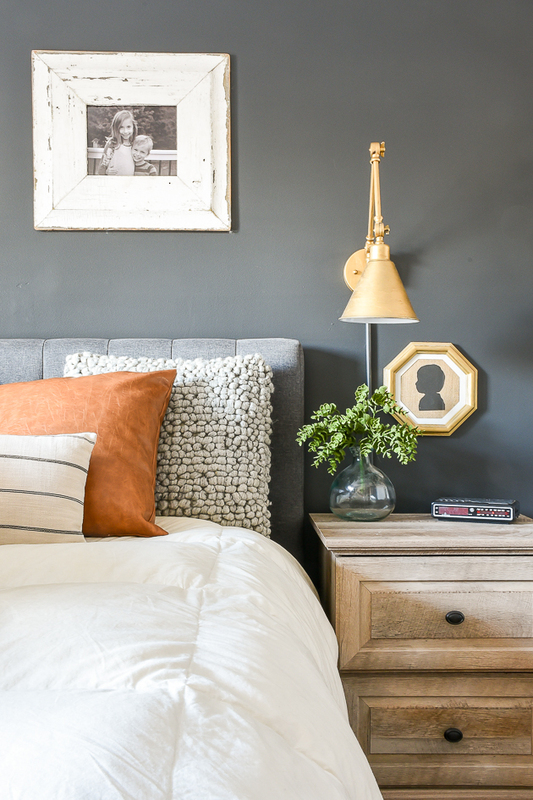 They're also a great alternative for adding color and life to a room when real plants aren't an option. 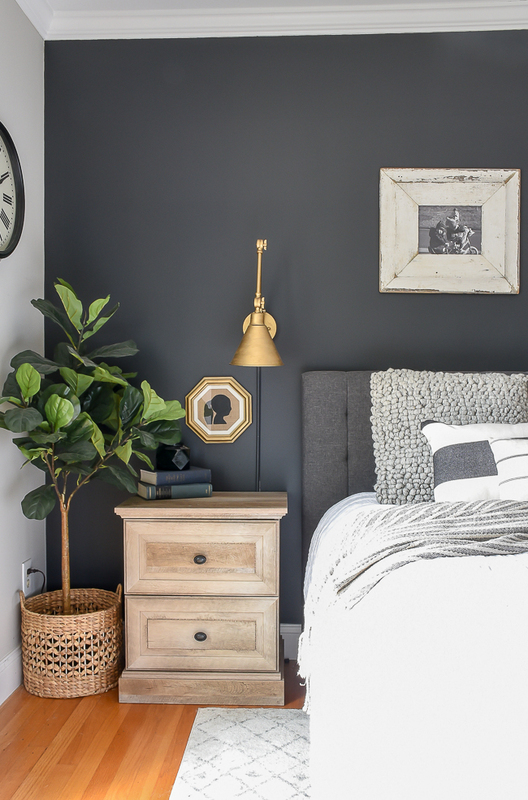 Today I've rounded up my favorite sources for affordable faux plants, trees, wreaths and stems. 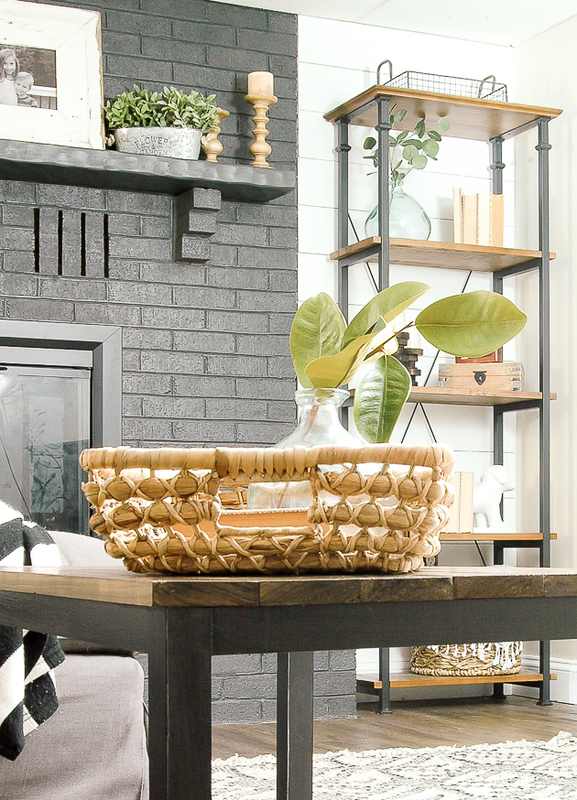 I would definitely recommend real over faux, but if you are like me and kill every live plant that comes into your home than faux is the way to go. 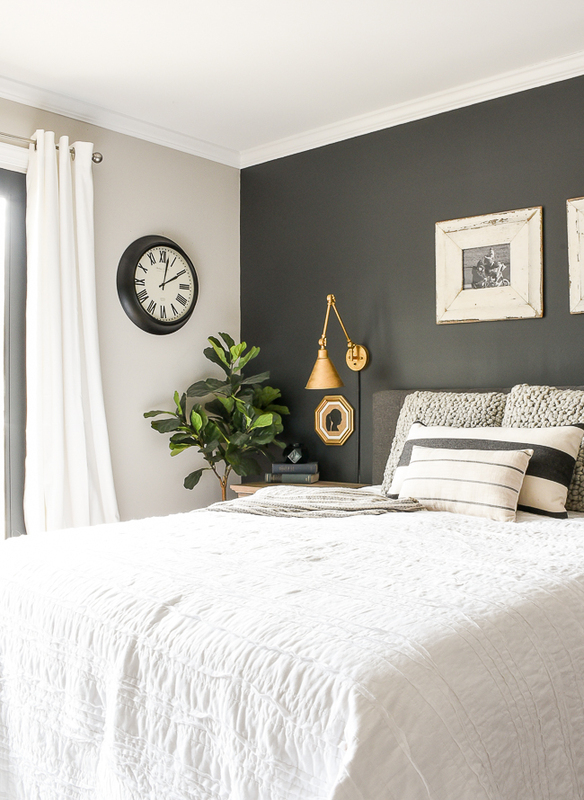 I share a lot of pictures of my bedroom on Instagram (partly because I love the space and partly because my dog tends to take over my bed and she's too darn cute not to share) and I get a lot of questions about my Fiddle Leaf Fig. Is it real? Is it faux? Where was it purchased? Would you believe me if I told you it's from Michael's and less than $50? Well, it's originally $79.99, but it's often on sale and if not you can use a 40% off coupon. I can't find our exact one online, but I'm pretty sure they still carry it in stores. 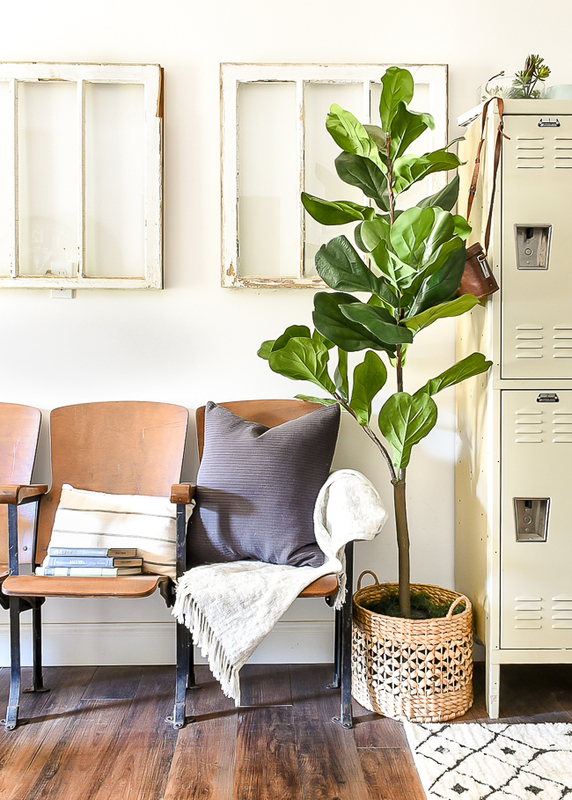 I also have a Fiddle Leaf tree in my Mudroom/office that I bought from QVC. I was a little skeptical about buying one online and sight unseen, but I was pleasantly surprised with its quality. 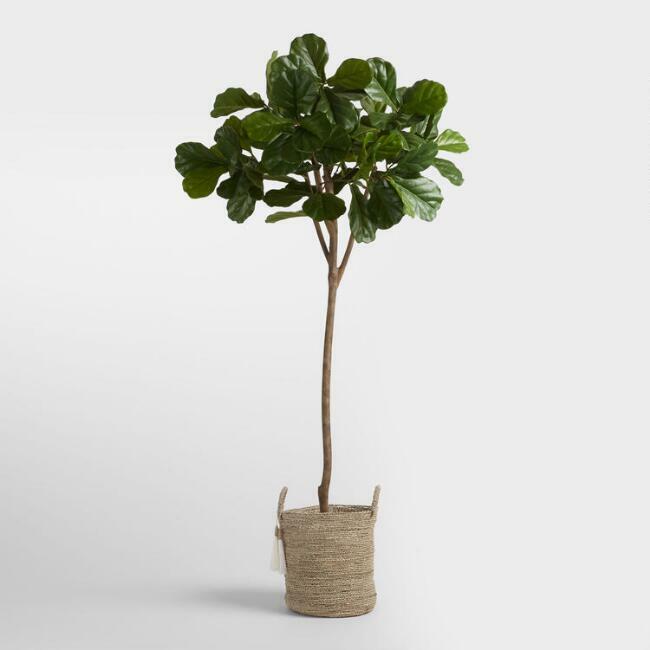 If you're looking for a taller tree, I just recently splurged on this 6 ft Fiddle Leaf. It's more than I would typically spend on an artificial tree, but I figured going faux is cheaper than buying and killing a bunch of real ones. IKEA is my go-to source for lifelike artificial plants, with my favorite being their $4.99 potted herbs. 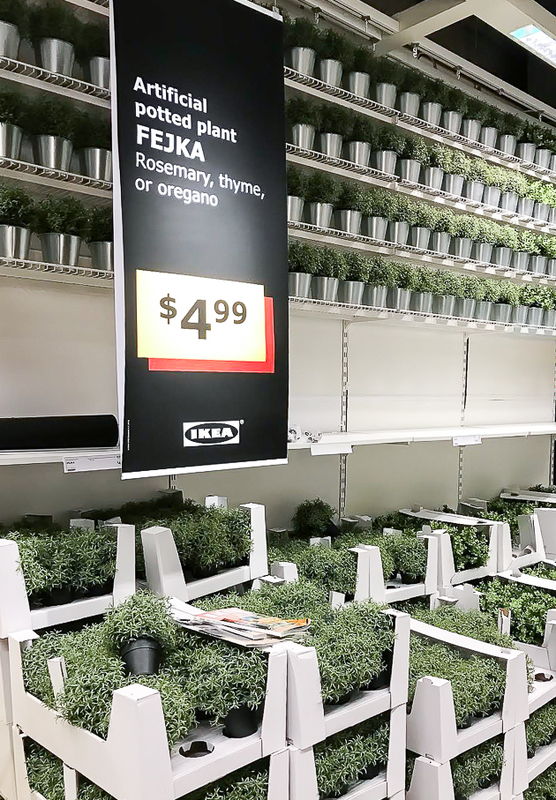 I have quite a few potted sage plants from IKEA, unfortunately, they no longer sell them in stores or online. 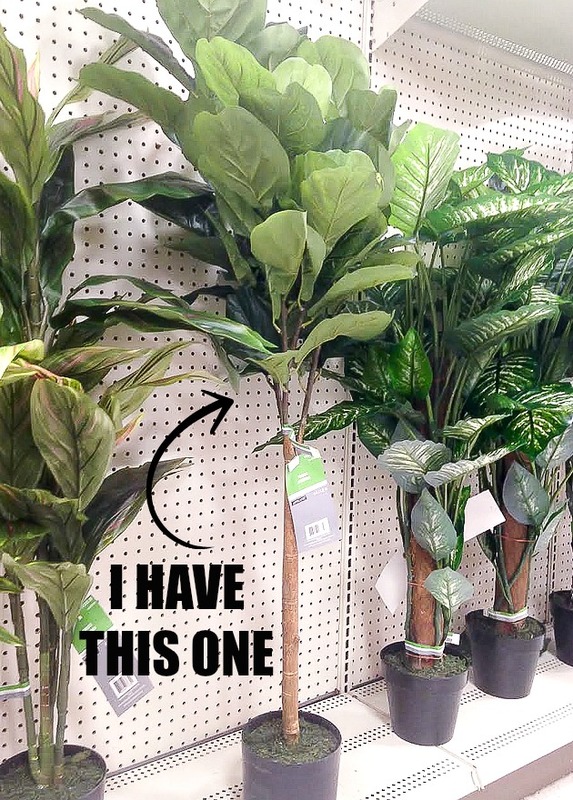 They do, however, have a lot of other great faux plants, trees and stems still available. 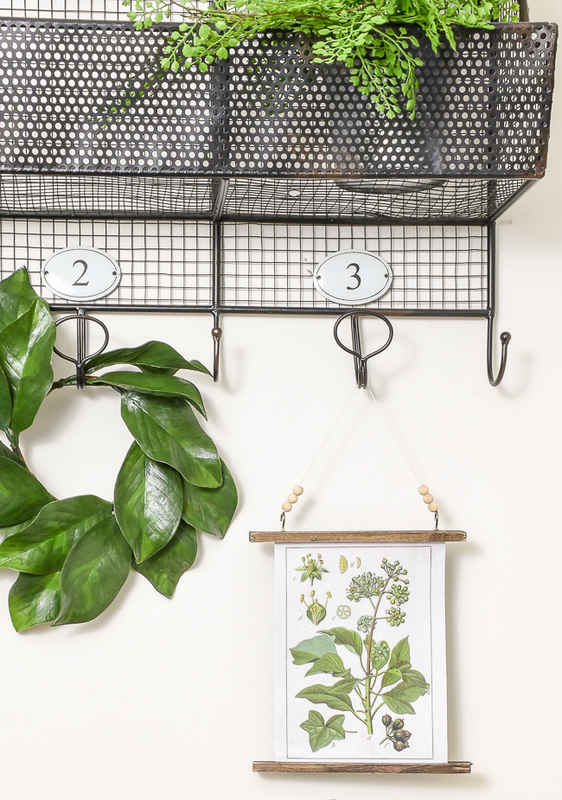 If you don't have an IKEA in your area, you can also buy IKEA's artificial plants on Amazon. They are a bit more expensive, but if you have Amazon Prime you can snag them with free shipping. 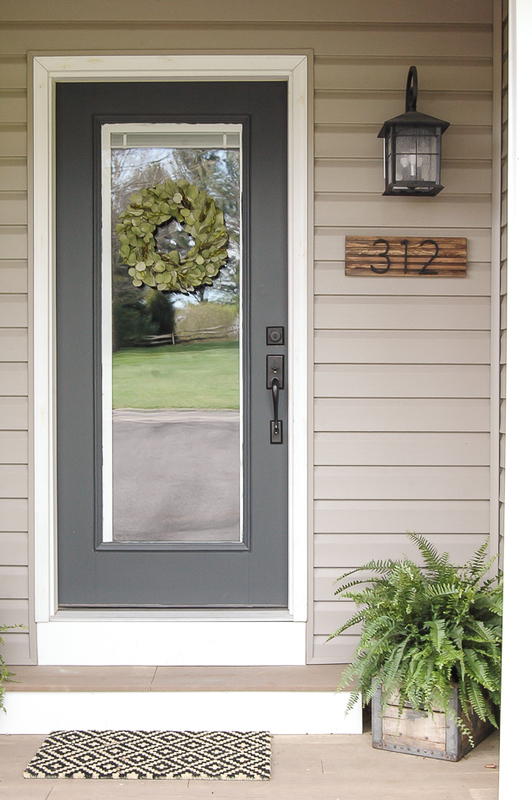 I don't hang a lot of wreaths in our home, but I do like to display one on our mudroom door and occasionally from the metal hooks in our mudroom. I just picked up this adorable Magnolia wreath from a local vintage market and it has quickly become one of my favorites. 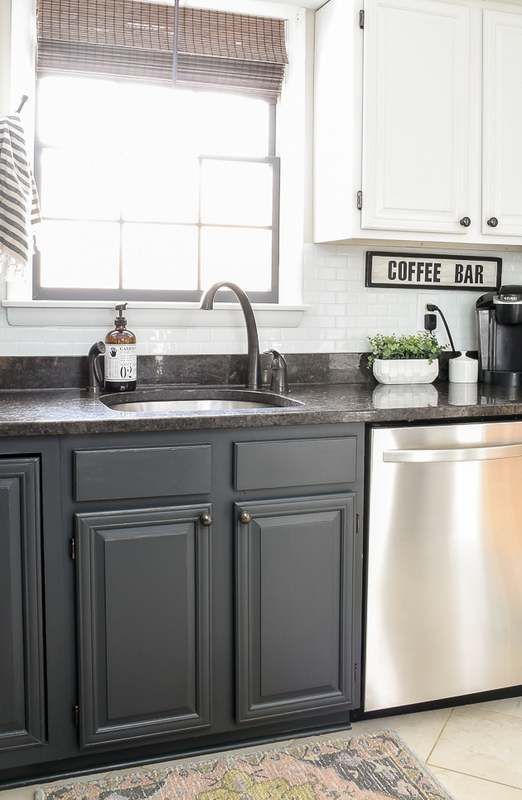 I bought our mudroom wreath last year from HomeGoods for under $30.00. 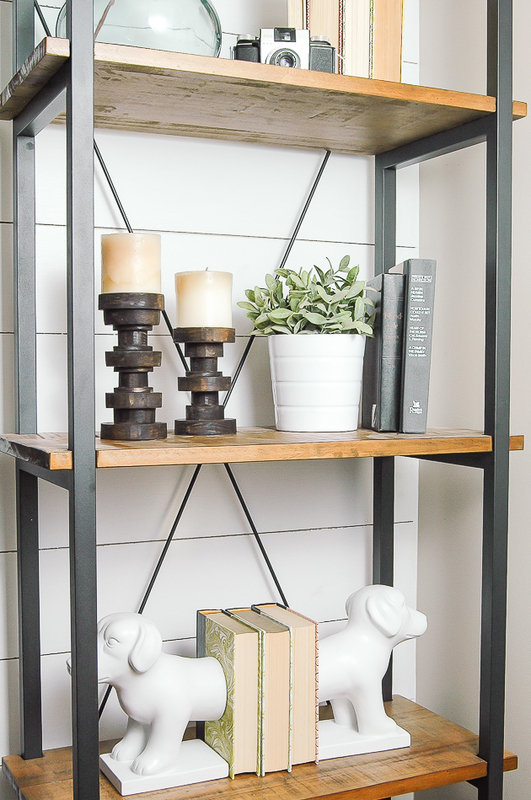 If you don't have a HomeGoods in your area, I found this amazing site that sells faux florals and greenery at very reasonable prices. 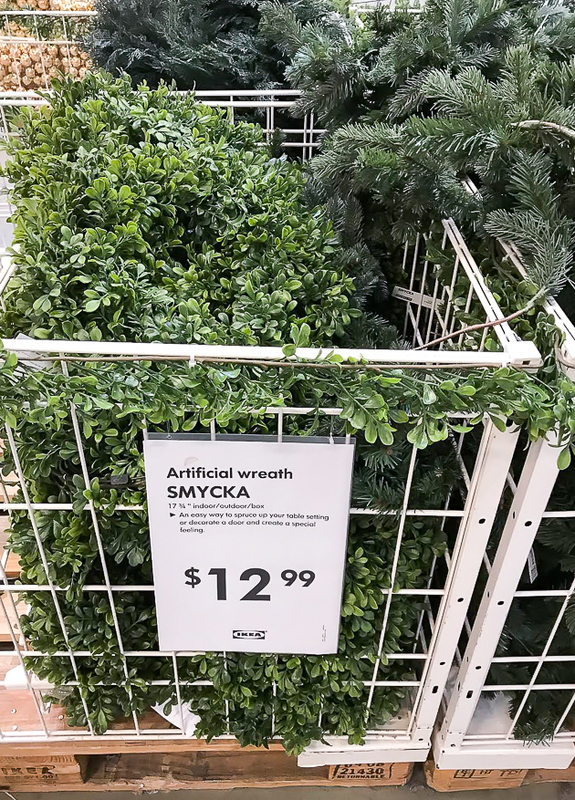 You know I love IKEA for potted plants, but they also sell great quality wreaths (I found these around Christmas time) for under $13.00. 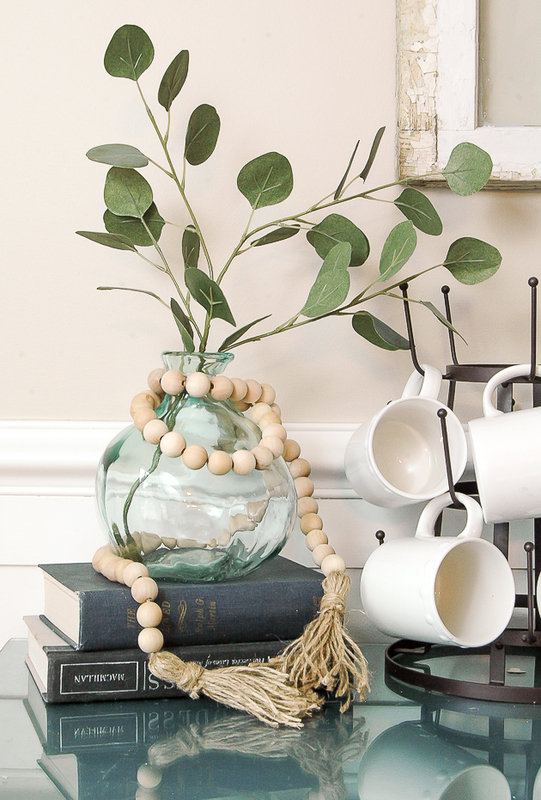 Hobby Lobby is a great source for faux stems. 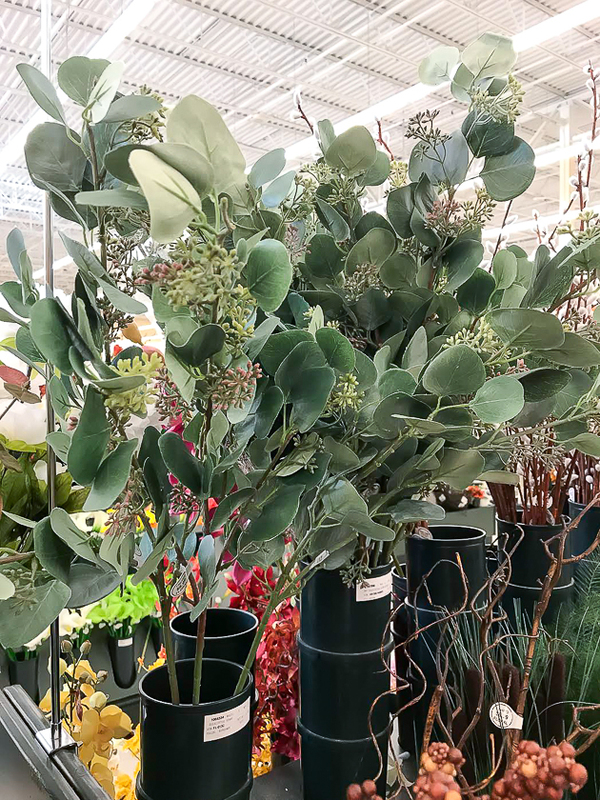 I often pick up the bunch of eucalyptus when it's half off or if I have a 40% off coupon. It's a large bunch, so I'm able to cut it apart and use it in different places throughout our home. 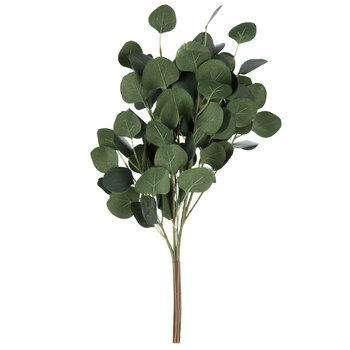 They also have a nice selection of seeded and mini eucalyptus stems if that's more your style. My other favorite place to buy artificial greenery is from a local vintage market. I know that doesn't really help you, but if you have cute local shops in your area they may carry unique greenery as well. 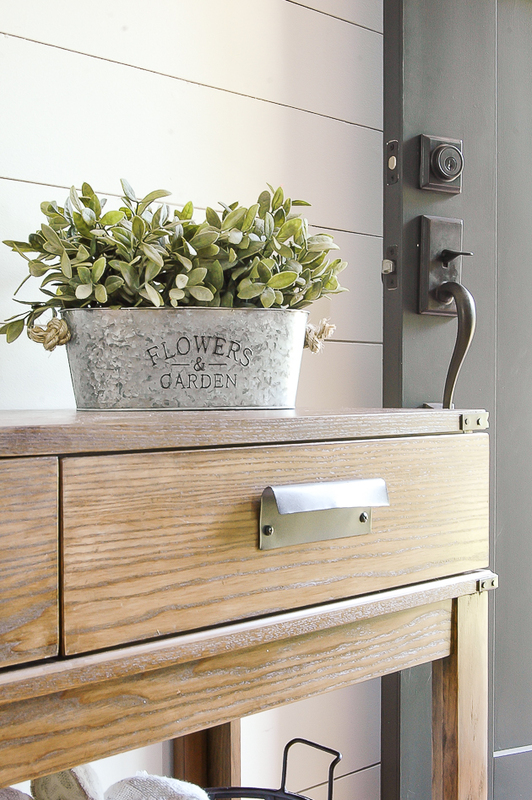 All the greenery in our spring mudroom (as well as the Magnolia stem in our basement) were purchased from The Vintage Market at Glenwood. They are only open one weekend a month and I almost always walk out with greenery and some sort of unique vintage find. If you don't have any local stores that carry unique greenery, you can get some great faux stems here. 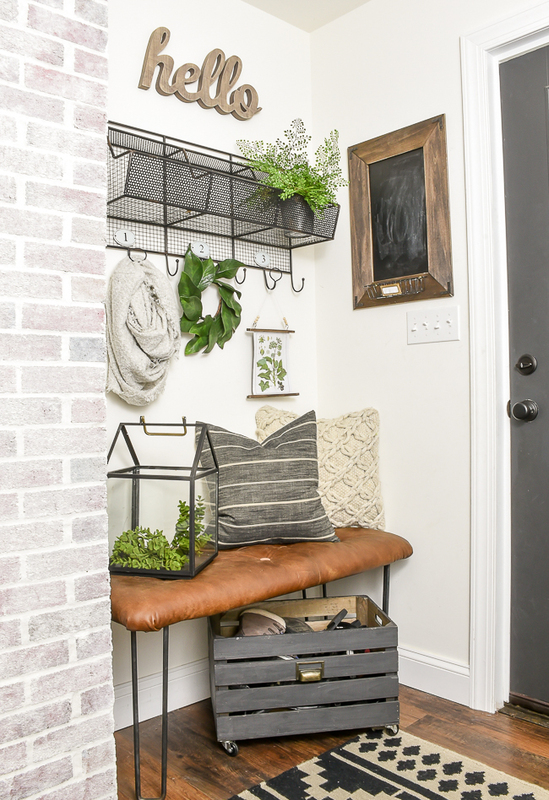 No matter if you go real or faux, adding touches of greenery throughout your home is a great way to brighten your spaces and affordably decorate your home. I so appreciate this post and all the links. 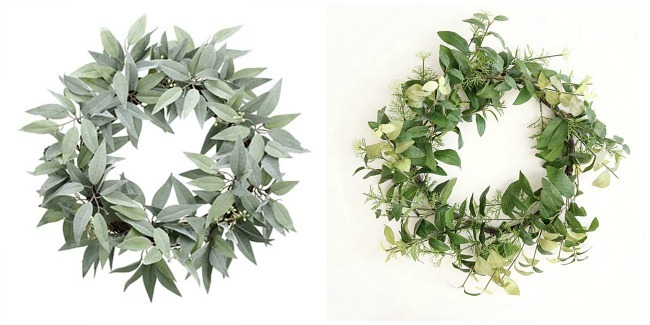 I've been Googling where to buy faux greenery all month! I want some nice looking succulents for the outside of my house because we live in such a hot area and I can never keep up with the watering. And then, of course, where to get some realistic looking lambs ear, eucalyptus and magnolia stems for our living room. And then you highlighted all of that! So basically you're my spirit animal. Haha. 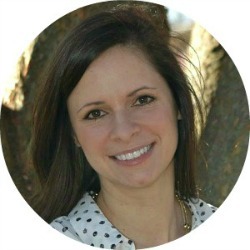 Thanks, girlie! Very informative post, Katie... thanks! 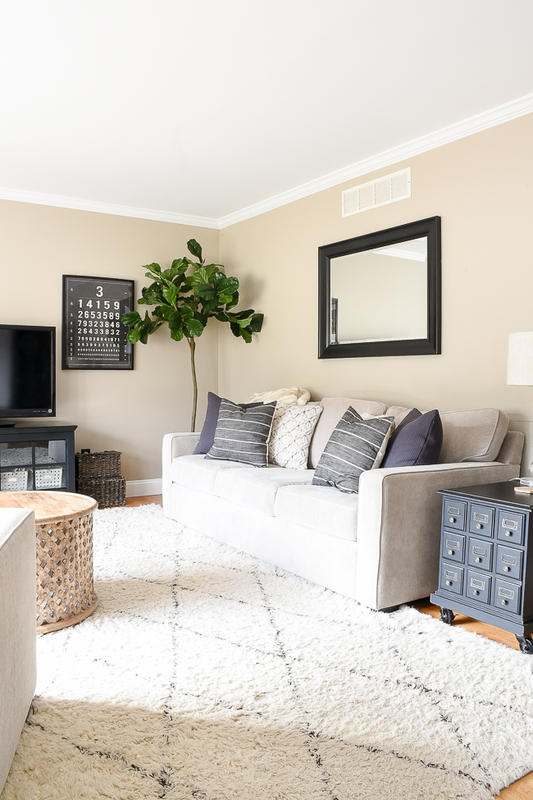 I love the Fiddle Leaf Fig and tried a real one. It didn't make it. I will have to keep my eye out at Michael's. I don't have an Ikea near me, but I found nice potted ones at At Home recently too. Great post! 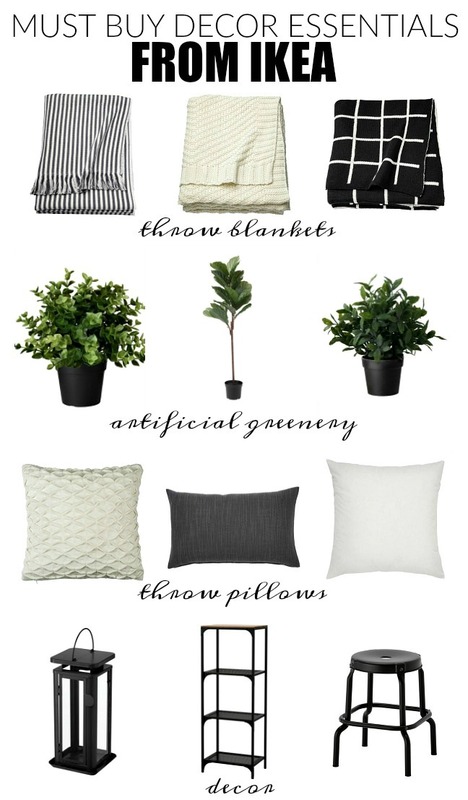 I was just thinking about adding a couple faux plants to my place and this will definitely help me out. Thanks! 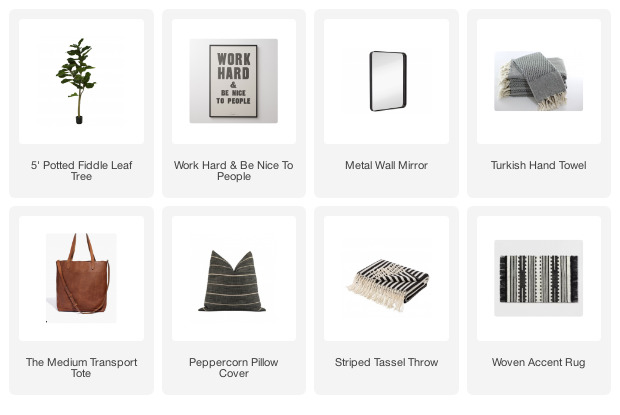 Thank you for sharing all of these gorgeous items, and how to se them. Can't wait to go pickup some this weekend.